HTC has partnered with Logitech to bring its keyboards into Virtual Reality on the SteamVR platform on the HTC Vive VR headset. 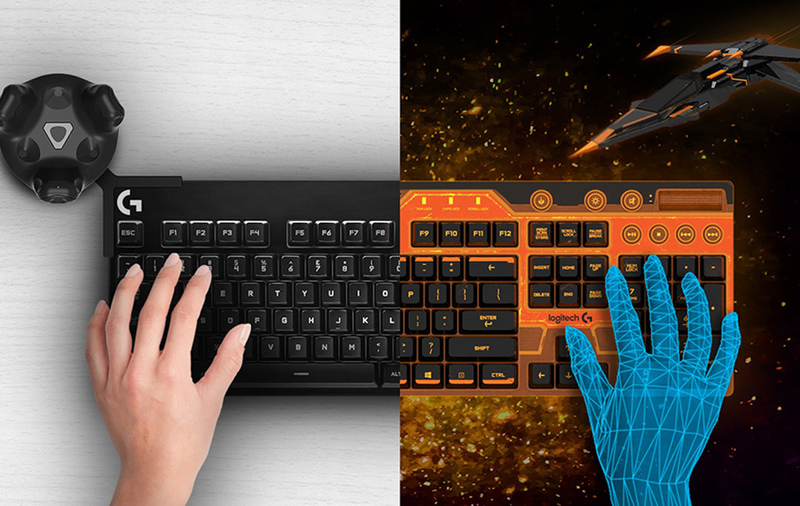 Rather than fiddling around with virtual keyboards in a VR environment, the new BRIDGE system allows users to use the physical keyboard from Logitech in a virtual world. The system pairs an HTC Vive Tracker to the Logitech gaming keyboard. This is then visible across the Steam VR system as an overlaid virtual representation of the physical keyboard that even produces animations when keys are pressed. It is compatible with all apps developed for SteamVR without developers having to do anything special to make it work in that environment. But they can create inventive experiences around it. The BRIDGE kit consists of a Logitech G gaming keyboard, an accessory that positions a Vive Tracker correctly on the keyboard, and the associated software (valued a$150). Logitech will be seeding 50 of these kits to select developers with the goal of partnering to create new experiences centered around a VR keyboard.